Loving the new Simply Created Build a Banner set! Its a different style of crafting than I'm used to, I'm not a banner girl. But whoa!! Its easy, pretty fast, and you can get pretty crafty with these things!! And the possibilities are almost endless - totally customize it as you need! ((More exclamation points needed in that paragraph, right? LOL)) But seriously, really impressed with how easy this is! 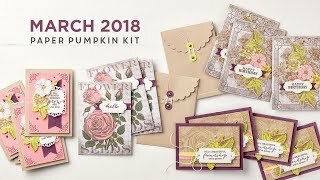 The kits come with most of the supplies you need, you'll just have to have pick out some inks, and your embellishments. - but wait!! Hahaha, no really - But wait!! We have embellishment kits available TOO!! So, you get these cool canvas pennants, pre cut and already including some nice Antique Brass grommets. 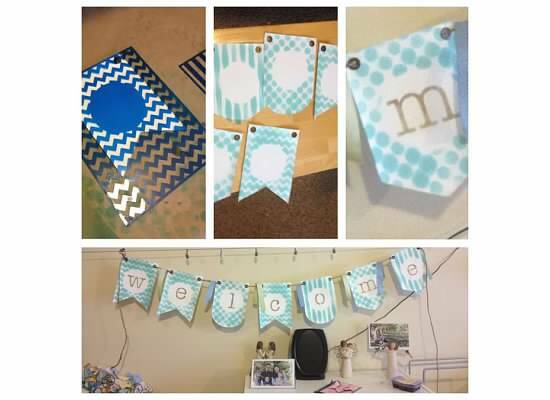 You get 6 of each banner shape in 3 designs, 18 pieces total. Natural Jute twine to hang the banner(s), 3 background stencils, 26 letter alphabet stencils, 1 background masking stencil, and a Stampin' Spritzer. 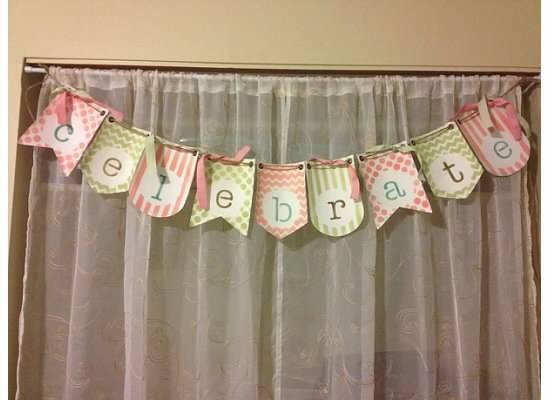 Once you've decided on your banner saying - you get 18 pieces, so you can easily do "Happy Birthday" or "Congratulations" or "Class of 2014" or any number of phrases or sayings... but anyhow, once youve decided, set up your pattern and put the pennants in the order you want them to be. Each pennant has a coated side and an uncoated side, or notice the brass grommets have a nice side and a back side. You want to spritz on the uncoated, nice grommet side. To mix your spritz, you can use plain water and ink, but an alcohol and ink mix will dry faster - a plus! You want to fill your spritzer about 3/4 with alcohol, and then add your ink. Now this part is a little tricky, but have some plain paper to test a spritz and see how your mix looks. I went with a mix a little stronger than I would use for a card or paper creation, 20 drops of ink to the alcohol. It seemed like a pretty true color spritz, and it didnt take more than 10 spritzes per pennant to get nice coverage. Place the stencil down on the pennant, getting your placement for the blank letter space as you like. And give it a spritz from about 12" up, but directed down and across the pennant and stencil. Don't over saturate the pennant!! You can always go back and spritz more when it dries, but if you add too much at one time it will cause your image to start to really seep and spread. Your lines will be a little fuzzy as it is, don't over do it on the spritz! Pick up the stencil carefully, the spritz will puddle up on the stencil, and move it off the pennant. 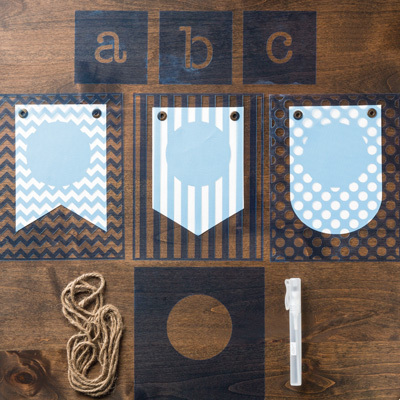 Place your pennant to the side to dry and carefully wipe off your stencil. You can repeat the process with the spritz to do the lettering, just use the background mask and the letter stencils. Or, I used the sponge daubers, and just placed my letter stencil on my dry pennant and sponged on the ink. It doesn't have the spread like the spritzing does, and I thought it gave the letters a little darker and crisper look. You could also sponge using the background stencils, but I'd recommend using a light coat of spray adhesive on the background stencils so that you don't get any unintended slippage. The letters don't need that spray adhesive, they are very easy to stabilize with your hand as you sponge. 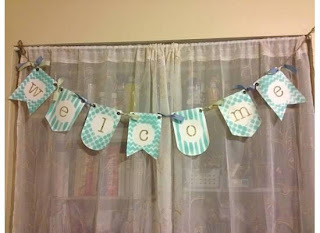 So here are the banners I've made so far, I'll have more photos on my Facebook page once I add some more embellishments, but I thought I'd start off simply and they are actually pretty festive! If you'd like to order your own set to try, I have a suuply list after the photos. 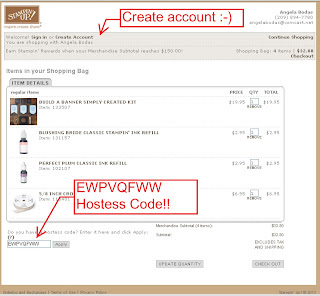 Please enter my August Mystery Hostess Party for a chance to win $30 in Free product, place an order over $25 at my online store with the Hostess Code EWPVQFWW by 8/28/13 and you'll be entered to win. 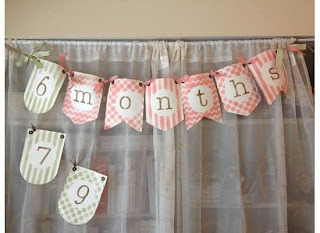 August Banner Class banner - come make this one with me!! My first banner, to be embellished for my craft room. More pics on FB. Let me know if you'll join me next weekend 8/24 at 10am to make your own banner, I'll order your supplies by Wednesday, so the deadline to sign up is Noon on Wednesday 8/21! 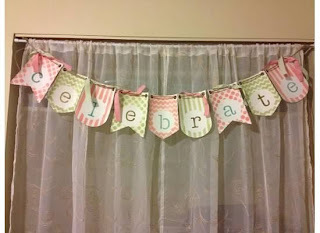 We will make the Celebrate banner shown above, I'll have 4 colors to choose from, and include everything you need - you'll even get to take home your extra stencils and a spritzer so you'll be set to keep crafting! Remember to use the Hostess Code EWPVQFWW when you order by 8/28! Enter it in your cart before you check out to be entered to win Augusts Mystery Hostess bonus $30 Free Product! 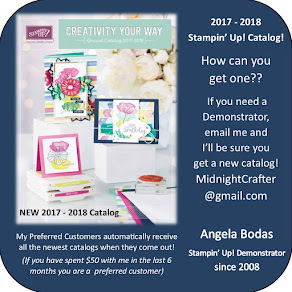 And, make sure you create an account so I can send you the latest catalogs! Beautiful and inspiring stuff for the holidays, great ideas and easy gifts for everyday! Enter Hostess Code EWPVQFWW for a chance to win!